BAKERSFIELD, CA. — In early January, The Association of Avocado Producers and Exporters of Mexico released a statement saying, "there are limitations or delays in transportation." The statement came in light of Mexico's gas shortage due to a government decision to cut pipelines in order to avoid gas theft from cartels. 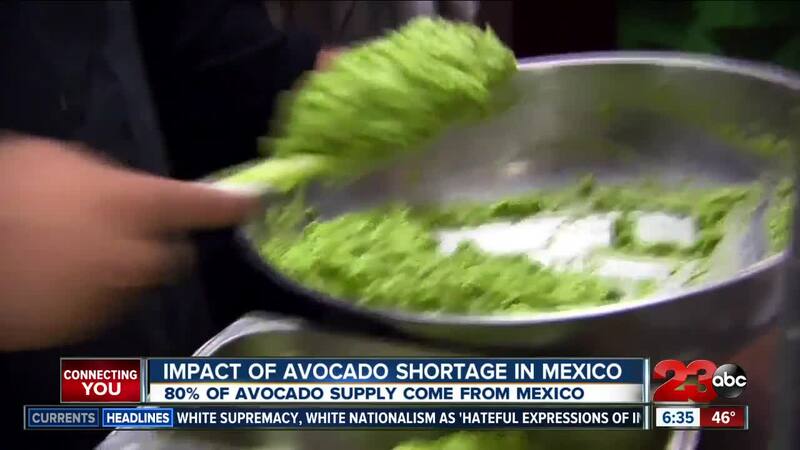 An avocado shortage was declared in the United States leading up to the fruit's busiest season - Super Bowl season. According to the the APEAM website, about 1,200 trucks per week were expected to transport avocados to the United States ahead of the February 3rd Super Bowl date. The Commission says Mexico produces 80% of the nation's avocados, whereas California produces 10 to 15%. 23ABC reached out to multiple businesses in Kern County and they say they have yet to feel the effect of an avocado supply.